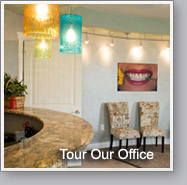 Ready to share your good experience at My Family Dental with friends and family? 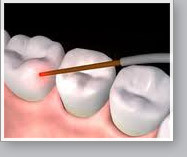 Our best new patients are always referred by our great existing patients! For every new patient you refer to our office we'll give two free movie tickets and your name will be entered in our monthly gift basket drawing! Read what our patients are saying here! Brighten your smile with Free Whitening! No Insurance? No Worries! - Click here to learn more about our Special offers. Win a Gift Basket full of Goodies! 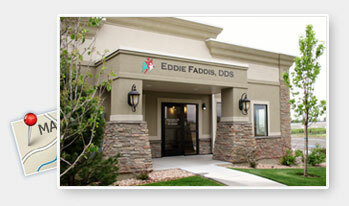 Dr Faddis has been creating beautiful smiles for over 20 years. Dr. Faddis focuses on family and cosmetic dentistry, utilizing the latest technology available in the dental industry today. My Family Dentist provides state-of-the-art dental care in an atmosphere where your entire family will feel welcome and well cared for. While you relax, Dr. Eddie Faddis and our team focus on your complete dental care, so you can get back to life with a healthy, confident smile. We deliver the quality results your family deserves. From our practice in Pleasant Grove, we welcome patients from Pleasant Grove, Lindon, Cedar Hills, Highland, American Fork, Lehi, Saratoga Springs, Eagle Mountain, Orem, Provo, Utah County and all neighboring areas. Dr. Faddis and his dental team are dedictated to offering general, family and cosmetic dentistry with an emphasis on health and comfort. Find out why People are Choosing My Family Dentist! "Every time I go to this office, I am treated like a friend. I can always get an appointment within a day or two. 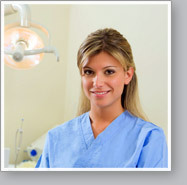 I would refer my friends and family to this friendly and professional office for all of their dental needs." Dr. Faddis and his dental team are proud to offer a wide range of family and cosmetic dentistry to patients of all ages. Please review our patient education pages and videos to learn more about the services we offer.